Tengboche Monastery (or Thyangboche Monastery), also known as Dawa Choling Gompa, located in the Tengboche village in Khumjung in the Khumbu region of eastern Nepal is a Tibetan Buddhist monastery of the Sherpa community. Situated at 3,867 metres (12,687 ft), the monastery is the largest gompa in the Khumbu region of Nepal. The monastery was built in 1916 by Lama Gulu with strong links to its mother monastery known as the Rongbuk Monastery in Tibet. However, in 1934, it was destroyed by an earthquake and was subsequently rebuilt. In 1989, it was destroyed for a second time by a fire and then rebuilt with the help of volunteers and international assistance. Tengboche monastery located amidst the Sagarmatha National Park (a UNESCO World Heritage Site of “outstanding universal value”), is draped with a panoramic view of the Himalayan Mountains, including the well known peaks of Tawache, Everest, Nuptse, Lhotse, Ama Dablam, and Thamserku. Tengboche is also the terminus site of the “Sacred Sites Trail Project” of the Sagarmatha National Park that attracts large number of tourists for trekking and mountaineering. It is a circular trail that covers 10 monasteries in a clockwise direction terminating in the Tengboche Monastery. 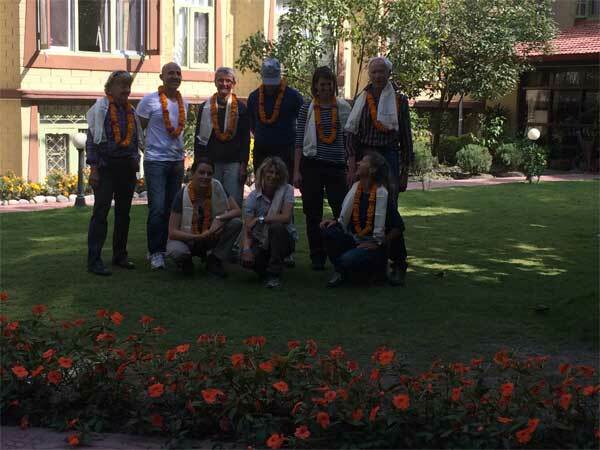 Sightseeing in Some of landmarks that are the World Heritage Sites of Kathmandu Durbar Square, the sacred Hindu temple of (Pashupati Nath), the famous ‘Monkey Temple’ (Swayambhu Nath) and Buddhists shrine (Bouddha Nath. You can also make your last minute buying of personal items and preparation for the next day. Trek starts in the morning after breakfast. The walk today is pleasant with few short uphill and downhill with multiple crossings over Dudh Koshi River and magnificent view of Mt. Thamserku (6,608 m/21,675f t) from the Benkar village. Cross some more bridges and reach the entrance of Sagarmatha National Park at Monjo, where our trekking permits are checked in order to keep record of trekkers and local trekking staffs as well. A descend and a gradual walk brings us to Jorsale, the last village until Namche Bazaar. The walk is enjoyable through the river bed and we reach Hillary Suspension Bridge. Now, as we climb up hill towards Namche Bazzar, closer and magnificent sight of Kwangde Peak, its sister peaks, Kusum Kangaru, Mt. Everest, Lhotse, Tawache, and many other fabulous mountains are viewed closer, we stop at the Chautara here to admire the view. Finally, we reach the colorful village of Namche Bazzar, the main gateway of Khumbu region. This is first scheduled ‘acclimatization’ day for this trek. Health experts always recommend us to stay active and moving during the rest day too instead of being idle. We either spend the day taking a day hike to Thame or visiting Khunde or carry out relaxed exploration of Namche Bazaar itself. Namche Bazzar is the main centre of the Everest (Khumbu) region and has government offices, ATMs, Internet cafes, shops, restaurants, a bakery and a colorful market each Friday evening and Saturday. If we trek a few hundred vertical feet during the day, it will help us to properly acclimatize. Visit the Tourist Visitor Center near the Sagarmatha National Park headquarters and observe an assortment of things related to the first Everest ascenders, Sherpa culture and learn about the various plant and animal life of the Everest region. We also take an interesting side trip up to Khumjung and climb up to famous airstrip at Syangboche. Just above the airstrip is the Everest View Hotel, a Japanese scheme to build a deluxe hotel with great views of the highest mountains on Earth. The Khumjung valley surrounded by the snowy peaks of Kongde and Thamserku and the sacred peak of Khumbila hosts a well known monastery that houses a yeti scalp. Visit Hillary School which is at the same site. After having lunch and spending some time in Khumjung, walk back down to Namche Bazzar. Today the trail steeply descends to the Hillary Suspension Bridge and then continues on an easy natural walk to Phakding. After a lunch, trail will lead you back to Lukla. 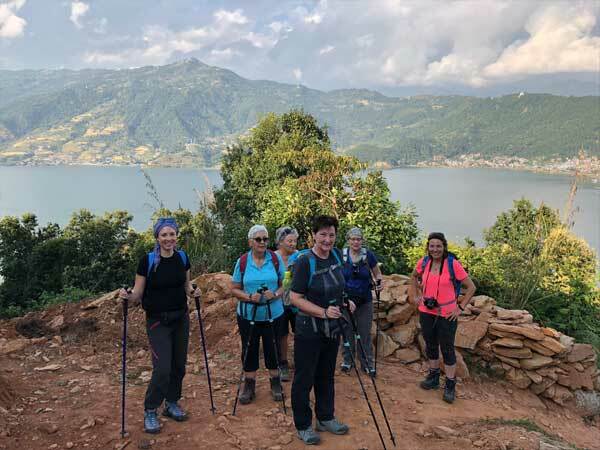 On arrival in Lukla you will have time to relax, stretch those sore legs and celebrate the completion of your trek. Reconfirm your flight ticket.